From the latest decision of the Maharashtra State Board of Secondary Education in India, they might consider a decision to change the internal assessments when it comes to giving recognition or awards to students. According from reported news through hindustantime.com, the board believed that the awards given to students are unjust or unfair. The main issue is about the examinations for the students known as Secondary Certificate (SSC) as well as Higher Secondary Certificate (HSC). Based on the shared information provided by the state board, there are students who do not even take and exams, yet received the awards for the internal tests. They were able to come up with this conclusion after they revealed the lenient when it comes to giving the awards. On this, they will present a new method in the coming days about the replacement of the internal assessments, according to the officials of the education department. 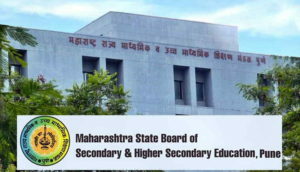 The reported news added that the Maharashtra State Board of Secondary Education currently is following a mark pattern of 80:20. This helps in judging the potential students both on internal and written examinations. They compute the passing mark after checking both the given exams to the students. “The department is planning to change the marking scheme, discussions have begun, it will be finalised in the next couple of days and we will issue a circular,” one of the department’s senior officials said as quoted by the news online. One of the most interesting proposals they want to consider is to remove the internal exam and a student must get 100 mark for the written examination to receive an award.